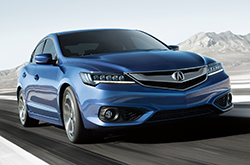 Acura's compact luxury sedan, the ILX, has returned this year with enhanced performance, elegance and features. With a more powerful standard engine, a transmission system that is the first of its kind and a chic exterior update, the 2016 Acura ILX in Peoria is exactly what active luxury buyers in Phoenix are looking for in a sports sedan. Whether you are seeking a vehicle with the most up-to-date technology, a smooth and quiet ride or strong fuel efficiency, there are no letdowns with the vehicle that 2016 Acura ILX reviews have deemed a premium choice in its class. With a new 2.4 liter, direct-injected DOHC i-VTEC engine, the opportunities are endless. Meanwhile, the brand new 8-speed Dual-Clutch Transmission system acts as an innovative shifting system in which drivers can choose between a traditional automatic approach and a controllable sport mode. 2016 Acura ILX reviews note the innovative nature of this gear-shifting structure, one that is the first of its kind and ensures that the engine runs at or near peak efficiency, regardless of speed. Plus, the potential of 201 horsepower at 6,800 RPM and 180 lb.-ft. of torque at 3,600 rpm is an ample improvement from the 2.0-L engine of previous models. In addition to boosting the powertrain, Acura did not hold back when supplying the ILX with the features that you desire. Equipped with a multi-view rear camera, the AcuraLink® premium security system, keyless entry, hands-free texting software and impeccable jewel eye LED headlights, the Acura ILX offers the most recent technologies in a compact luxury sedan that consumers desire. Plus, each ILX comes with the option of AcuraWatch Plus, an innovative safety suite that offers a lane keeping assist system, adaptive cruise control and extra warning systems. Paired with the new safeguard software and powerful performance, the ILX proves that you will never have to sacrifice safety for sport. The ILX provides the class, style, and amenities you desire in a vehicle. Test drive a 2016 Acura ILX in Peoria today and see for yourself why customers and critics agree that it is a top choice among luxury sedans in the Phoenix area. In several key areas, the 2016 ILX beats out class rivals like the 2016 Volvo S60, Mercedes-Benz C-Class, Audi A3 and the Lexus CT 200h. Shoppers will be pleased with the ILX's splendid styling, as well as its leading-edge cabin features. It's a truly amazing value. Just compare its price to the aforestated list of vehicles and you'll surely see why so many Phoenix West Valley drivers love it. Get more details - Catch a glimpse of our ILX Quick List under this paragraph! 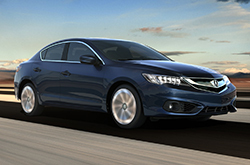 Acura of Peoria's professional writers have taken the time to write thorough reviews of the Acura ILX and other 2016 models to help make your next car search simpler. Not all Phoenix West Valley car dealerships are alike. We differ from others in that we feel it's our obligation to present customers with quality reviews. Once you begin reading, you'll find that this article is up to the hilt with vehicle specs in a format that's easy to read. Use it to get the info you need to make an educated purchasing decision. 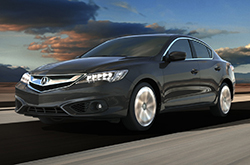 Learn more about Acura of Peoria's award-winning lineup! 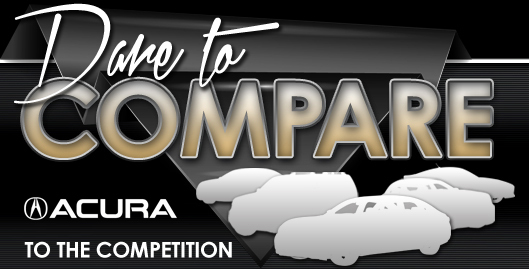 Review and compare Acuras other vehicles in our digital research directory now!